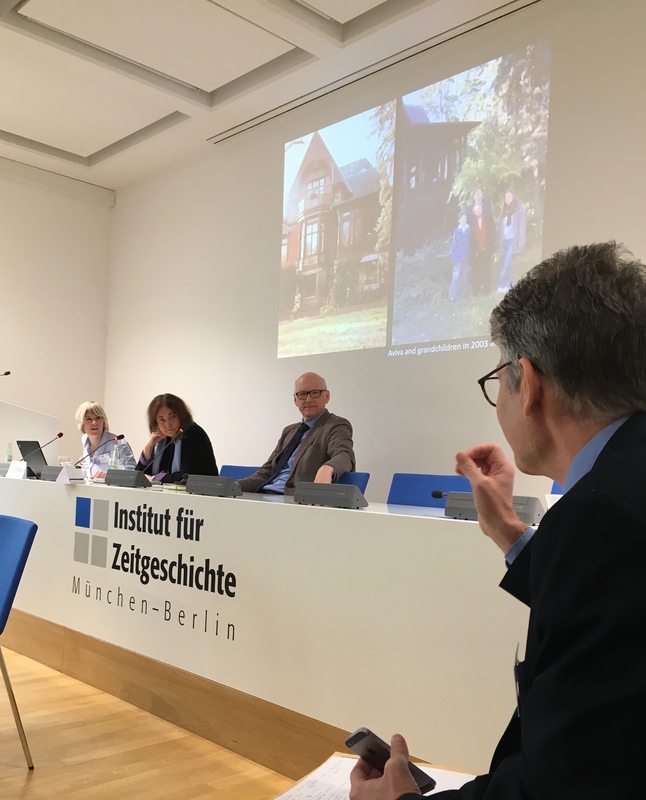 In Munich today speaking about provenance research and restitution at the Institute of Contemporary History (Institute für Zeitgeschichte). 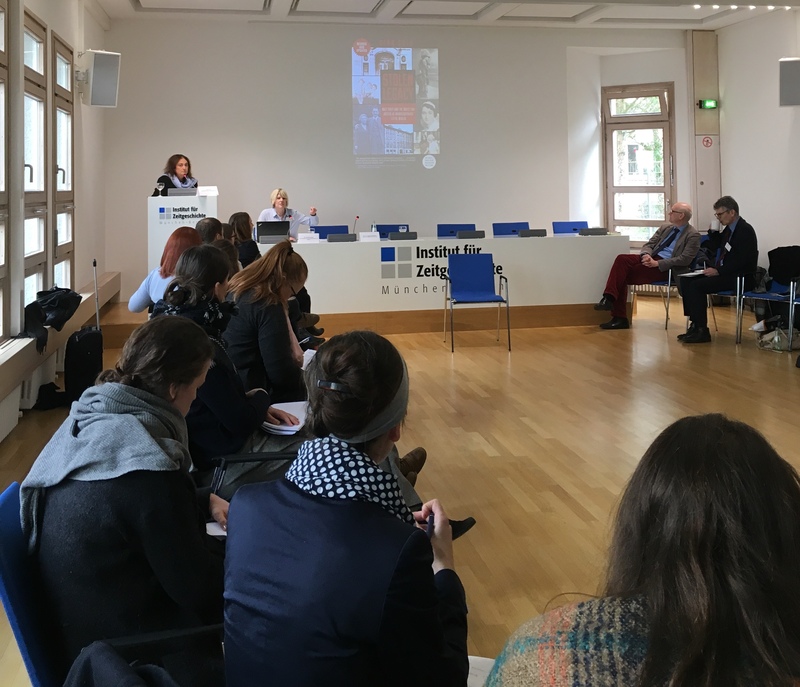 This event was part of an annual series of four seminars for museum staff under the auspices of the Freie University of Berlin. My session was about the importance to families of receiving restitution. Non-state museums across Bavaria, of which there are over 1,200, are examining what they hold in their archives and whether or not items were illegally acquired during the Third Reich from former Jewish owners. Attempts are now being made to trace heirs and return objects to them wherever possible. 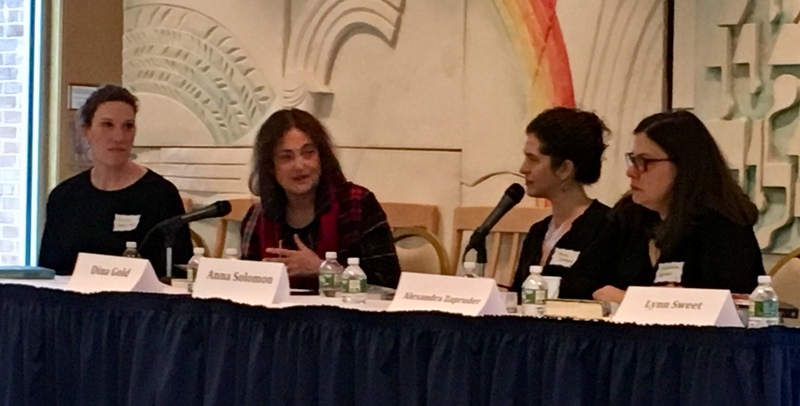 My talk was followed by a panel discussion. Here I am being asked a question by Dr. Uwe Hartmann, Head of the Department of provenance research, German Lost Art Foundation. 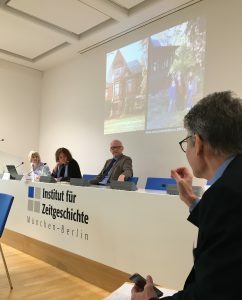 Joining me on the panel are Dr. Carolin Lange, senior provenance researcher at the office for non-state museums in Bavaria and historian Magnus Brechtken, deputy director of the Institute and professor at the Ludwig-Maximilians-University, Munich. 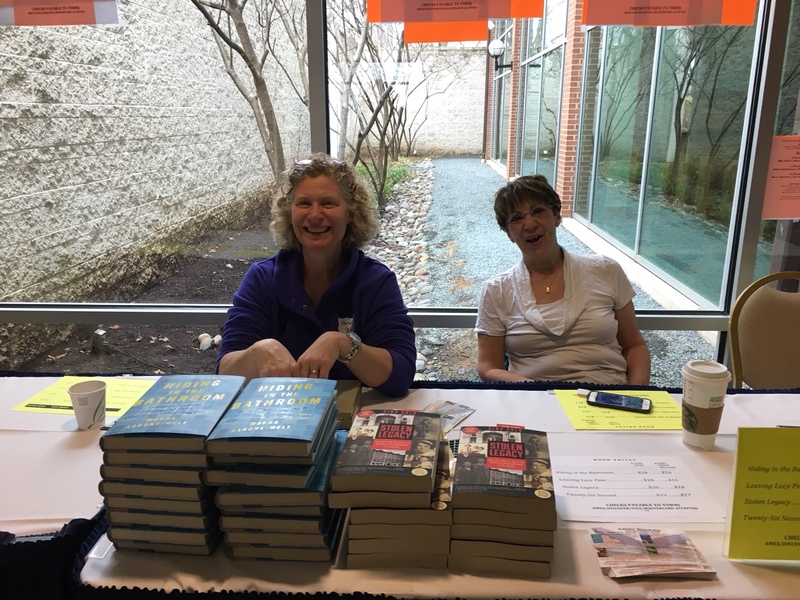 I spoke at Temple Sinai’s annual Authors’ Roundtable alongside Morra Aarons-Mele, Hiding in the Bathroom: An Introvert’s Roadmap to Getting Out There (When You’d Rather Stay Home); Anna Solomon: Leaving Lucy Pear; and Alexandra Zapruder: Twenty-Six Seconds: A Personal History of the Zapruder Film. 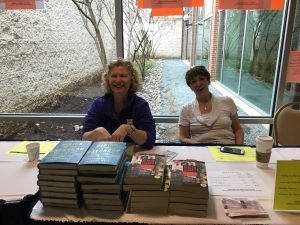 We spent an hour together on stage being interviewed by Lynn Sweet, Washington Bureau Chief for the Chicago Sun-Times, and then broke off into individual rooms where we were joined by members of the audience wanting to hear more about our books. 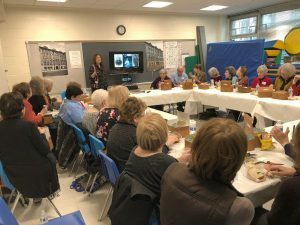 I had prepared a powerpoint presentation to show the crowd in my room while they ate their lunch and then took questions and was whisked away to sign books. 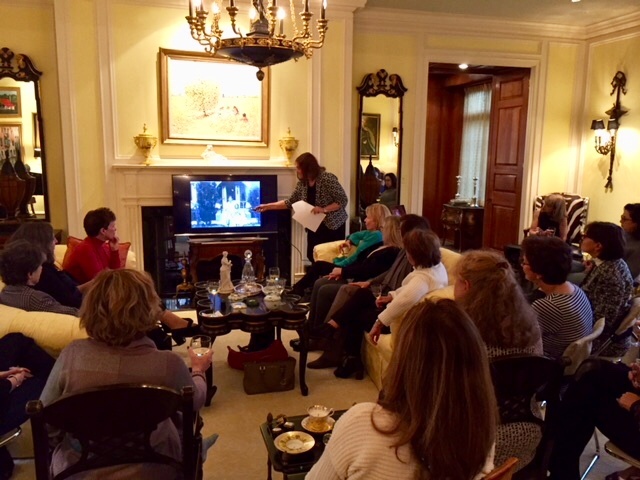 Today I presented the story of “Stolen Legacy” to a book club held in a lovely home in Potomac. Here I am showing the audience powerpoint photos and pointing out who the various people are and their significance in the story. Attendees had their own restitution stories to tell the group. One related her family’s experience reclaiming two properties in Krakow, Poland. Another told of her father’s long lost property in Ukraine – with precious little hope of ever regaining it. There have been news reports recently about two former SS officers in their 90s who have been charged with participating in hundreds of murders at the Stutthof concentration camp in Nazi-occupied Poland. New legal reasoning allows German prosecutors to charge Nazi collaborators even if there is no evidence of specific criminal acts. 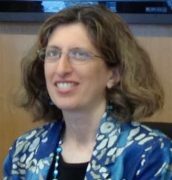 I have written a blog piece about complicity during the Third Reich and how it links to Stolen Legacy.